The letters from the Bintel Brief are important primary sources that help us better to understand the lives of immigrant-origin Jews and their efforts to create new lives for themselves into the United States. The are also windows into the universal challenges and dilemmas that come with the experience of migration. We believe they are essential resources for the classroom.The letters can be used to teach history, literature, and ethics. Below is a sample lesson using the letters. However, we know that no two classrooms are identical. It is our goal to collect, curate, and share a wide range of models for teaching with the Bintel Brief. We are hoping you will share examples of how you adapted our resources to your classroom. Send your lesson to adam@reimaginingmigration.org. If we publish them, we will contact you first and make sure you receive full credit for your work. Before introducing the Bintel Brief, you will want to be clear about your own objectives and expected outcomes. Below, we have identified objectives and outcomes we would use to guide our approach if we were teaching a social studies unit on immigration to 8-12 graders. The letters of the Bintel Brief are extraordinary primary source documents. We would want students to mine the text to learn about the lives of the authors, both in the context of the historical period in which they were living and to better understand the experience of immigration itself and how it impacts the way people see themselves and the choices people make. We would be using these documents to help put a human face to history and the lives of newcomers. We would encourage our students to think about issues of change and continuity in the lives of immigrants and the experience of immigration. We would be looking to help students explore issues of identity and belonging and the balance between integration and respect for tradition. We would be looking to introduce students to the real-life moral and ethical dilemmas that are part of the experience of migration. Students who are able to understand, reflect upon, and take action on issues related to global migration. Students who understand, and are inclined to inquire about, the ways that migration impacts individuals, communities, and nations and are sympathetic to individuals and communities who are navigating the changes that come with mass migration. Students who recognize their own perspectives and are able to understand the perspectives of others about issues of migration and understand the mutual influence of these divergent perspectives. Students who recognize the power and need for both bonding and bridging relationships within and across communities. Students who have the knowledge, skills, and dispositions to work to build bridges between newcomers and receiving communities. How does migration impact migrants and receiving communities? How does migration impact the way members of receiving communities see themselves and others? How does the experience of migration impact the identities of newcomers and their descendants? How can individuals and communities accommodate multiple belongings? How can communities balance a respect for difference without creating parallel lives for those that live there? What does the successful integration of newcomers look-like for newcomers and the receiving society? What needs to happen to enable newcomers and receiving communities to thrive and develop a common sense of identity and purpose? What is unique about the dilemmas and tensions that we encounter in the Bintel Brief? What universal themes do the letters raise? There has been a fair amount of discussion about how much context is useful and even desired, before introducing a text to students. Maybe it is my bias as someone who spent most of my career at Facing History and Ourselves, but it feels essential to introduce students to the story of Jewish immigration within a broader context of 19th and early 20th-century immigration to the U.S.
Students should know that Jews weren’t the first immigrants to the U.S., indeed the story of human migration, by both choice and force, is deeply tied to the history of the United States. Students should know something about the push and pull factors that led to such a mass exodus of Eastern European Jews to the United States between 1880-1920. Including poverty, economic instability, antisemitism, and a series of programs in the 1880s and early 1900s that targeted entire communities as well as the perceived opportunities available to immigrants beyond the “Golden Door” of the United States. They should have a sense of the scale of the Jewish migration to the U.S. between 1880 and 1920. They should learn about living conditions on the Lower East Side of NYC, where so many Jewish immigrants first made their homes after arriving. And, of course, they should know about the purpose (and format) of the Bintel Brief. We cover these key points in a historical overview we developed for this unit. Depending on your student’s reading level, you might assign the overview or turn it into a power point presentation. Look for a brief mini-documentary that we are producing to introduce the Bintel Brief later this winter. It will be available on this website. Just as important as the teaching strategy, is the focus of your assignment. Below are three questions we might use to allow students to work independently with the text. Identify a keyword/phrase from the text and share. What can we learn about the challenges and opportunities for integration from the stories of the Bintel Brief? Or you might use the Project Zero Thinking Routing Connect/Extend/Challenge. To conclude the lesson, I might use the fishbowl discussion strategy to bring the groups together for a reflective conversation that returns to the essential questions of the lesson. After encouraging students to explore the text, have them consider how their own perspectives influence their responses to the letters. Many of the letters include the editor’s response. What does the editors’ response reveal about the historical moment in which the letter was written? What does it reveal about the perspective of the editor? You might ask students to step out from a study of the past to write an editorial response to the letter with nearly 100 years of hindsight. What advice might they offer the author of the letter, from their own perspective, living nearly a century after the column was published? Yes, this is anachronistic, but if it is made clear that we have stepped out from a study of the past, the assignment could help students to recognize the forces that shape the perspectives they bring to a study of history. You also might also consider asking students to write their own Bintel Brief. Depending on the level of trust you have in your classroom, you might create an assignment where students both write a letter and respond, in the role of an editor, to a letter written by one of their classmates. 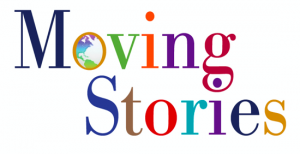 This intimate exploration of immigration can serve as an opening for students to explore their own migration stories. In our own ways, with our own histories, has a story of migration. Some of those are stories of immigration by choice, some of our histories are tied to forced migration, whether it is the experience of slavery or the trail of tears. Other migration stories, might be tied to internal migration, from South to North, East to West, or even from one community to another. 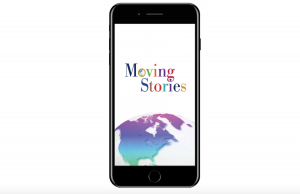 Use our Moving Stories app to have your students take action by collecting the stories of their families or community members. Sign up for our newsletter below to learn more about our work.